We feel God has called us to the country of Haiti to help make Him known. He made this call very clear to us with confirmation and peace and now we are ready, willing & eager to get to Haiti so we can start serving there. We’d love to share over coffee or at a small group, bible study or at your church, how God called us each to be missionaries and what we will be doing in Haiti. Please go to our Connect With Us page and fill out the form and we will be in contact shortly. We don’t mind traveling if your church is not in our state. We are so excited and so passionate about what God is having us do that we look forward to sharing it with as many people as He allows us to! WHO ARE YOU GOING WITH? We are going through the organization RMI (Reciprocal Ministries International). RMI has been around for 30+ years in Haiti. RMI bridges cultures and transforms lives through church to church partnerships. We facilitate and are the bridge to make this happen. 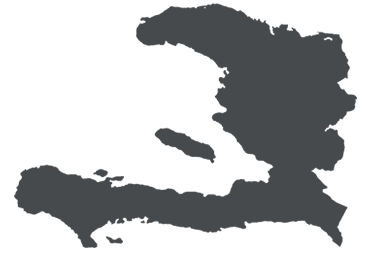 We work hand in hand with churches in Haiti to enable them and resource them for life transformation. We do this through evangelism, discipleship, education, community development and social compassion. Through this amazing ministry, we get to be a part of helping the body of Christ from the United States AND Haiti come together. It’s a beautiful thing to see two different churches from two totally different nations and cultures, come together and encourage, build up and help each other. They get to know each other through the years and become a sister church to each other. This helps enable the Haitian churches to be equipped in so many ways to then go out and evangelize, disciple and help their own community and people. Along with this amazing ministry there are so many other things we do as well including our Hope for Kidz program, our goat program, water filtration program and food and building projects as well. JIM: Helping take teams out to the haitian villages/churches through the week and being the facilitator and sometimes translator. Helping with facility, depot, vehicle care/maintenance and working with the haitian missionaries and staff. Helping with other various programs the ministry has. APRIL: Helping with the Hope for Kidz program that feeds around 6,000 kids every day in schools. Through this sponsorship program, they help provide meals and education for children in Haiti. She would possibly be helping oversee this program in Haiti. Another possibility is helping coordinate all the teams coming in. We also as a family will have many serving opportunities together, whether it’s from time to time when we get to go and serve together as a family at various haitian churches or when we take care of teams at our ministry center in Zanglais. We are so excited for the boys to not only get a chance to grow up as world travelers and understanding different cultures and languages but most importantly we are excited that they will get to see all the ways God is working in Haiti and they will get to be a part of serving and loving as well. We would love for you to join our ministry family! RMI is a ‘faith mission’, which means each missionary must raise their own financial and prayer support through individuals and churches. We need a team of people and churches who faithfully and sacrificially pray for us, encourage us, and support us financially. Will you partner with us and become a part of our ministry family? We have more information about donating, and becoming a part of our ministry family on our Donate page. We would love the opportunity to share our story and dreams with you personally. You may hear directly from us, but if you don’t, and you would indeed be open to this option, please contact us.